The plans of Russian gas exporter Gazprom to use the TAP (Trans Adriatic Pipeline) for delivering its gas to Europe is currently in the attentional spotlight of the energy market. Gazprom's bid to tap into a pipeline meant to reduce dependence of the European countries from Russian gas is believed to go counter to the purpose of the project to diversify European gas imports. 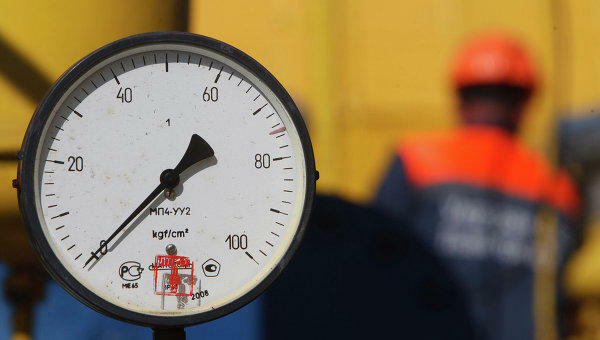 “Gas from Turkmenistan and Iran is already far from guaranteed and likely many years away. If Russia were to start pumping gas through TAP it would probably make the prospect of gas from these states even less likely. Furthermore it could also potentially block the perspective for additional volumes from Azerbaijan,” she said to Azernews. Being a part of the ambitious Southern Gas Corridor, one of the priority energy projects for the EU, TAP envisages transportation of gas from Stage 2 of development of Azerbaijan's Shah Deniz gas and condensate field to the EU countries. The EU imports more than half of all the energy it consumes, while its import dependency is particularly high for crude oil (more than 90 percent and natural gas (66 percent). Majority of European countries are heavily reliant on a single supplier, while the dependence leaves them vulnerable to supply disruptions. In this regards, the European Union seeks to diversify its energy suppliers and routes. Paul went on to say that Moscow, which currently has quite a dominant position on the gas market of South eastern Europe will not want to lose this foothold as it wishes to not only control this market but also get a bigger stake in the Turkish market which is particularly energy hungry, mentioning that the involvement of the country in TAP would only benefit Russia itself. “Russian gas via TAP is not in the EU’s interest as a key energy goal of the EU is the diversification of routes and sources, yet there is little the EU can do about it,” she said. As to the matter whether Europe will agree on Russian gas running through TAP or it will further back diversification, she said that an auction system gives equal access to any would be supplier and Gazprom’s deputy head Alexander Medvedev indicated that Gazprom was considering taking part. “The extra gas would be for the period post-2020 when the pipeline is expanded. Gazprom Russia is believed to have sufficient upstream capacity to deliver more than 100 bcm per year of extra gas to Europe. Given that Russian plans to double its Nord Stream pipeline to Germany, it is clear that the Russians are determined to keep North and South Europe in their grasp,” she noted. Meanwhile, Co-director of the Institute for the Analysis of Global Security (IAGS) Gal Luft believes that by opting to fill TAP, Russia hopes to preempt future Iranian gas entry into the European market. Europe is currently more than ever needs a strategy for diversification of its supply sources and gas routes, given the current nature of EU-Russia relations. Energy cooperation between Europe and Russia is quite a sensitive issue for both sides, as the EU currently relies heavily on Russian supplies, while Russia earns significant revenues from gas sales. "I believe that despite the European allergy to Russian gas, the Russian plan to inject gas into TAP will succeed. Europe has needs and in the end those needs will have to be fulfilled," Luft said. The expert believes that the latest move on TAP indicates that the attempt to shift to the Asian market hasn't panned out yet and that headlines aside Europe are still - and will continue to be for many years to come - the main destination for Russia's gas.